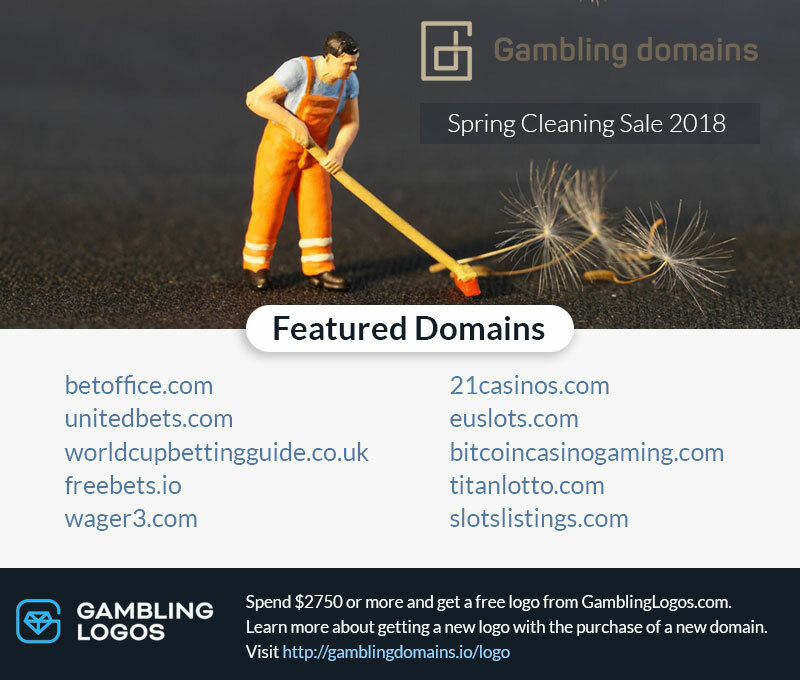 Spring is finally coming around and it's time to assess our domain inventory, make a few sales and help some of these domains blossom into websites. On top of that we are partnering with gamblinglogos.com to help you with a new logo for your site to get it off the ground. For domain sales over $2750 you'll get a custom made logo with 1 design concept. For domains bought for over $7750 you'll get a custom logo with 3 different logo concepts created and developed where you get to pick the logo you like the best to have it finalized. Learn more about our gambling logos offer here. BetOffice.com is an aged betting domain that already has a backlink profile. This domain would be perfect as an operator site or just as valuable as a betting portal. Another great betting domain that could easily be used for an operator site or a sportsbetting portal and odds comparison website. This domain could use a new home months before the World Cup 2018 starts. This domain is an easy one to remember to help users find free bets and offers on bookmakers. This domain needs a new home and could do with a makeover. It's a great easy to remember betting domain with some age. Not to be confused with 21casino.com or perhaps yes. This domain could be a great one to do a review of 21casino or for listing online casinos or ones that are focused on the game of blackjack. This domain name would make for a great online casino or a portal listing slots. It's short, easy to remember and has a bit of age. Not all the bitcoin casino domains have been taken. Get this one while it's hot! Online lotteries are growing in popularity and it's the last of the gambling verticals to get some recognition in the gambling industry. SlotsListings is a great domain to list all online slot games and convert for slots players.